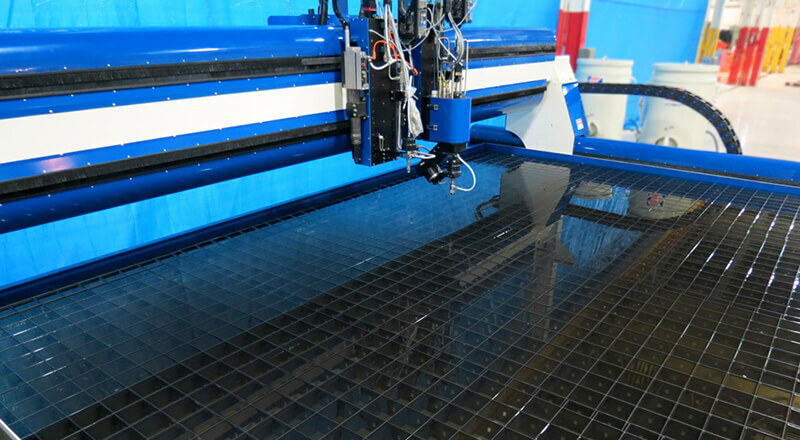 CNC Waterjet's manufactured by WARDJet, a part of the AXYZ Family. Hi, we’re WARDJet and we are part of the AXYZ family. 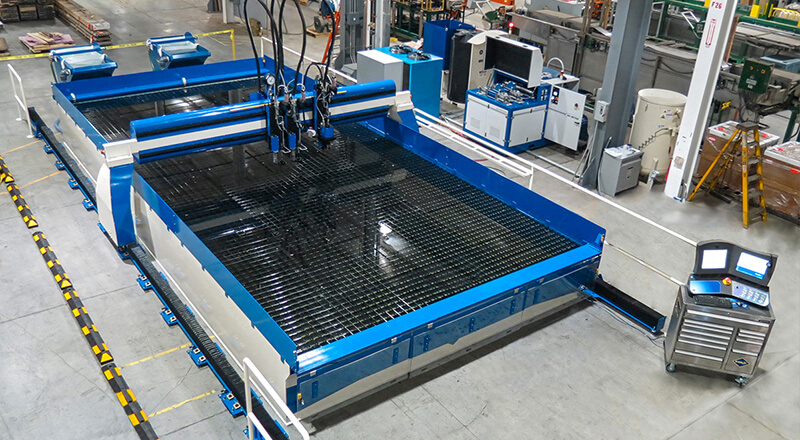 We manufacture and provide highly productive, reliable and intuitive waterjet solutions made in America. 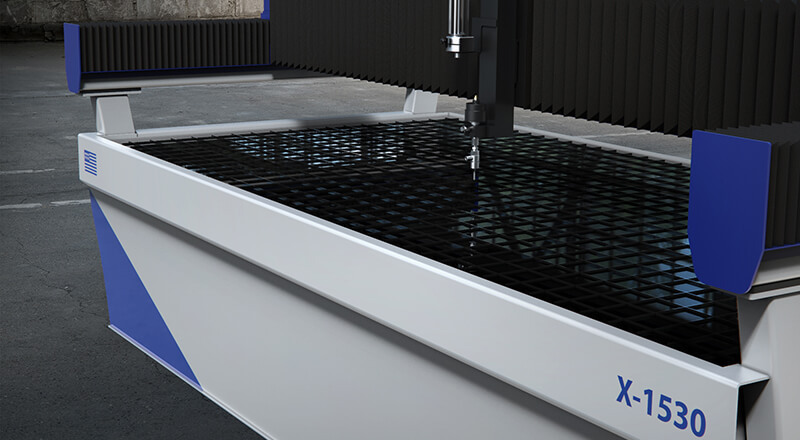 Thanks to our system of modular components, your waterjet cutter can be tailored to your individual needs. 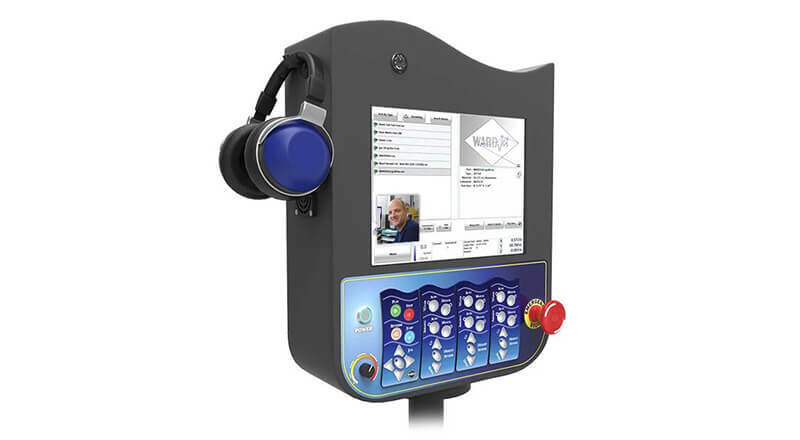 Your system can be upgraded with new features at any time and is designed to be flexible. 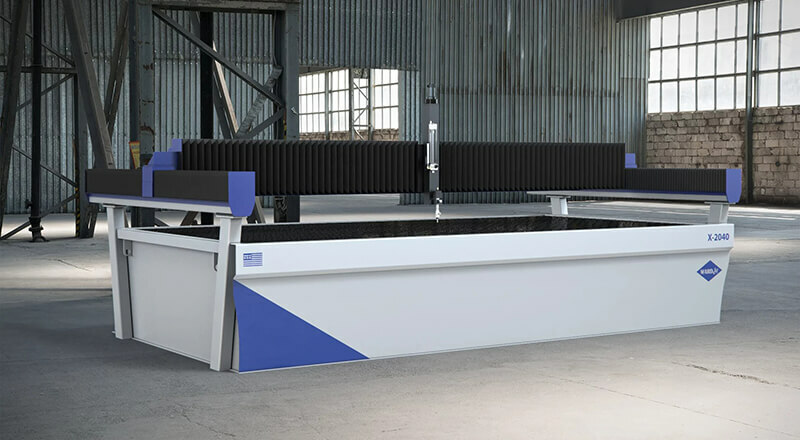 What is the best WaterJet Machine for my business? The versatility of the waterjet allows it to be used in nearly every industry. There are many different materials that the waterjet can cut. We recognize that there are many materials not listed so if you have a specific question about your material feel free to contact us. Steels - Inconel, Hastalloy, Waspalloy, Titanium, Aluminum, Stainless etc. Laminates - acrylic, aluminum, stainless and honeycomb section all laminated as one. Composites - Many composites are very difficult to machine as the cutting tool tips 'gum' up and quickly becomes inefficient. Waterjet has no gumming at all and can leave a good clean surface requiring no additional work. Plastics/Acrylics - Cut and also drill start holes using specialized low-pressure options available with certain systems. Rubber - Depending on the durometer value, rubber can be cut with water only or with abrasive. Tests will quickly reveal what the best option is for your application. Gaskets - By using waterjet for cutting gaskets, it is possible to automatically nest various sized and shaped gaskets on one sheet effortlessly. There is no longer any need for stacks of dies. Fiberglass - When cutting materials that are typically associated with hazardous fine airborne materials, waterjet is an ideal solution. Particles and materials removed are transported by the water away from the surface into the tank, reducing this risk and hazard. Glass - Glass from 1/32" to 10" thick can be cut, even when laminated in multiple layers. 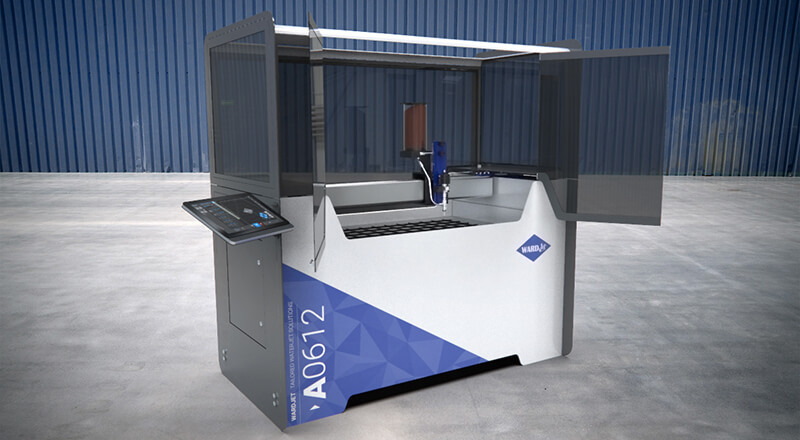 Are your looking for you very first waterjet cutting machine? Need to see if a waterjet can cut your material? Want to see if WARDJet can help you engineer an automation solution to help streamline your existing process? Give us a call at the number below, or complete our contact form.